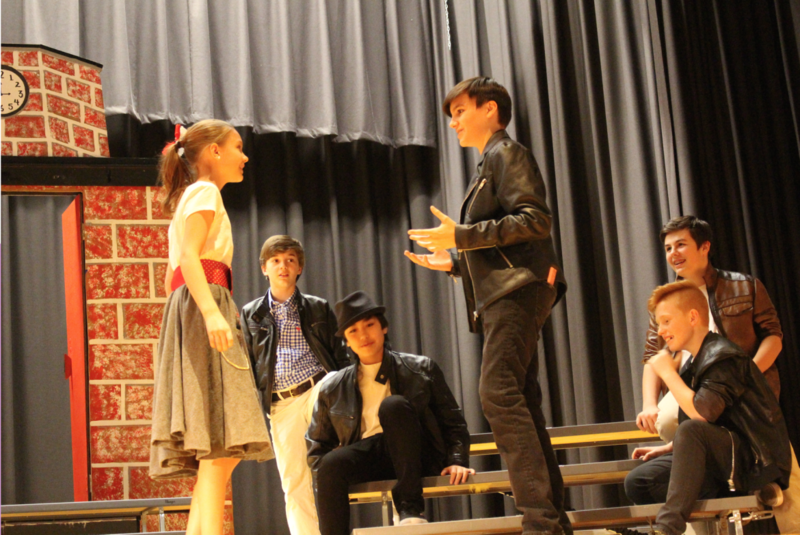 Central Middle School theater arts department is set to perform Grease on Friday April 1 and Saturday April 2 at 7:00pm. The musical is directed by Christine DiTota, with musical direction by Rebecca Lipschutz. Tickets at $10 per person and can be purchased just prior to 7:00pm performances on April 1 and 2, 2016 at Central Middle School, 9 Indian Rock Lane. The Students of Rydell High: Felicia Borselio, Alana Madigan-Sinclair, Eva Marder, Lauren Dunko, Christopher Collins, Ivanka Marusak, Kyra Pires, Jaden Navarro, Sydney Natale, Nathanael Stoddard, Robin Bologna, Ui Shinomiya, Sasha MacClusky, Jordon Navarro, Peter Benda, Milan Baratta, Kieran McGuire, Megan Young, Olivia Eslava, Olivia Lombardo, Molly McNulty, Joi Almonacy, Max Leite, Samantha Castaneda, Alexis Newman, Anneliese Ashley.